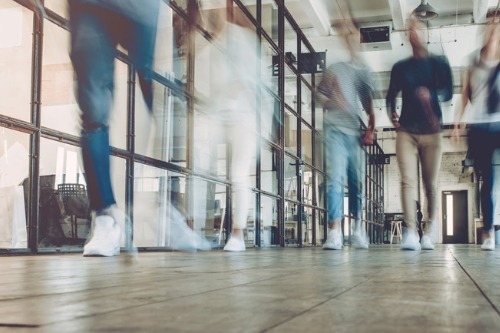 High-rise office buildings are becoming the leading commercial asset class in Canada’s largest markets, according to data from CBRE. Spurred by steadily growing demand from the tech industry, commercial sector performance in Toronto and Vancouver – cities that have enjoyed consistent economic growth in recent quarters – has led to historically low vacancy levels for over a year now. “The push for urban product is extremely strong,” Royal Bank of Canada’s Gary Morassutti said, as quoted by The Globe and Mail. Coupled with a dearth of supply in both the office and the residential segments, development in both cities has entered an accelerated phase, CBRE’s analysis added. Fully 17 new office structures are currently being built in Toronto, along with as much as two dozen new office buildings in Vancouver. In late February, Morassutti hailed the tech sector as one of the crucial foundations of Canadian commercial real estate. “Increasingly, the areas of growth in Canada are all about technology and our growing knowledge economy. Technology is the catalyst, change agent and king-maker and its impact is rippling through every sector of our market,” he explained at the time. Also boosting the national commercial market is further development and sales activity involving apartments and multi-residential structures, as well as industrial properties like warehouses. “What is underlying that is the insatiable demand,” BMO deputy head of investment banking Ashi Mathur stated. Some of the most notable recent deals in these sub-segments are Minto Apartment’s $200-million-plus transaction for residential rental properties in Toronto and Montreal, as well as Blackstone and Ivanhoe Cambridge’s $3.8-billion purchase of a set of e-commerce distribution and data centre spaces.